Steve grew up in Sidney, Montana. He graduated with a B.A. in Philosophy from the University of Montana and continued on at the University of Montana Law School, earning his J.D. in 1984. He has worked as an attorney in the Missoula community for over 35 years. Steve’s practice is concentrated in workers’ compensation, personal injury actions, medical malpractice, and insurance coverage issues. He has also served as a mediator in several hundred cases involving all types of litigation. 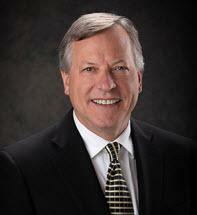 Steve has been a frequent speaker across the state on legal matters. He has also contributed articles to legal publications and conferences. He is a member of the Montana and American Bar Associations, Montana Trial Lawyers Association, and the American Association for Justice.